In 1876, the Samurai were banned from carrying their swords. This attempt to end a thousand year tradition was not received well by the proud warrior class and the "stick katana" was born. 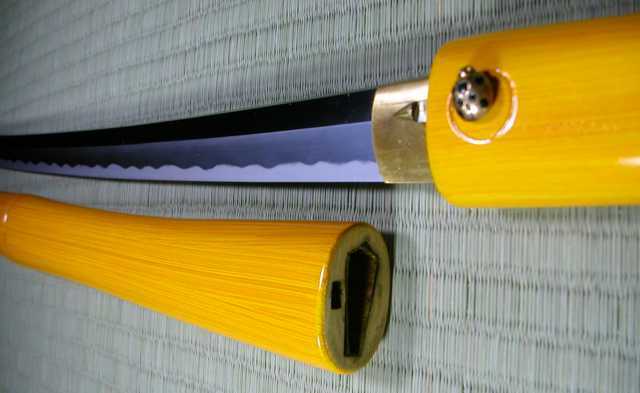 Innocuous walking canes now concealed the revered blades, but the katana lived on. 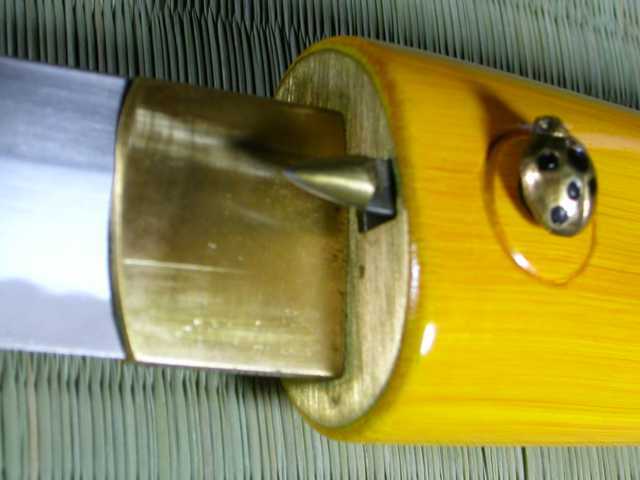 The Bamboo Stick Katana combines an artfully carved bamboo scabbard and handle with a blade (nagasa) that is constructed of hand-forged 1065 high-carbon steel and is differentially tempered using a traditional claying method. 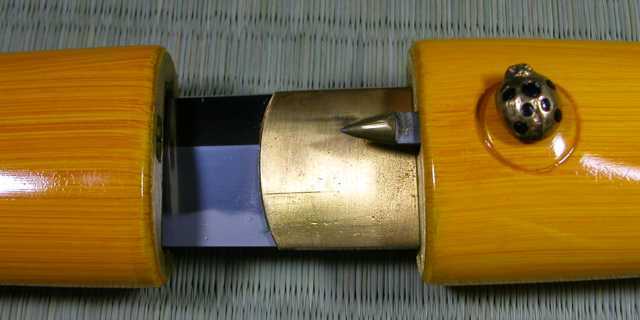 The edge hardness and resilient blade body produced by this technique embody the true secret of the Samurai sword.